THE GIRLS FROM Avenue Beat put on two great shows this weekend. 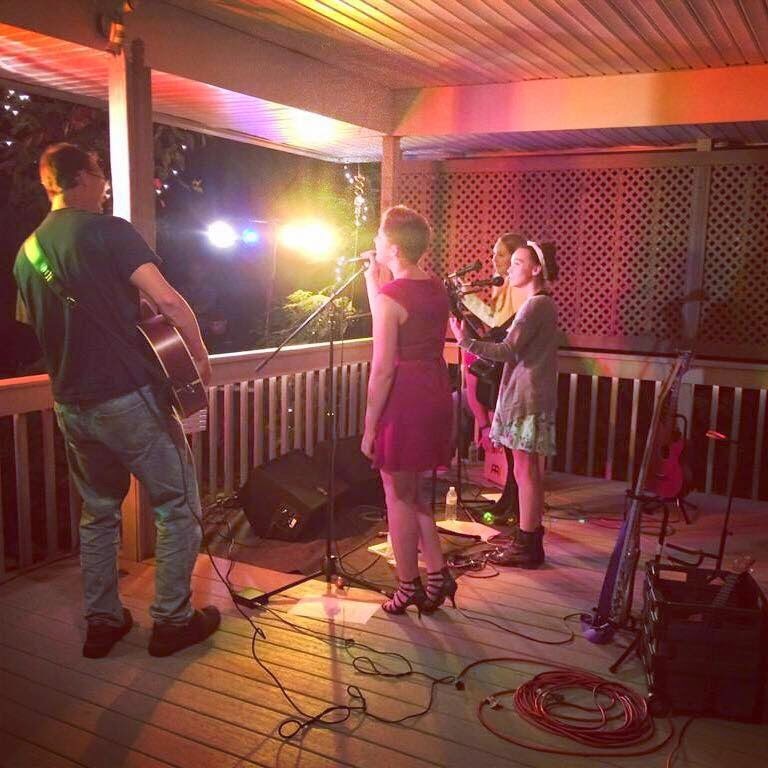 Saturday night at the lovely home of Dave and Shari Brown, Sam, Sami and Savana wowed a big backyard crowd. Dave and Shari were gracious hosts and the girls made some much-needed cash for their November trip to Nashville, when they are recording at the famous Blackbird Studios. That's not a bug on the left. It's just Avenue Beat's Grandmother Willow. Sunday afternoon was a blast at The Dock. But the girls once again learned a valuable lesson - you can never be too prepared for anything to happen. The Dock is a very cool outdoor bar along the Mississippi River. But around 6:30, the mosquitoes started coming out, and they were hungry. Sam Backoff was playing guitar and singing when she started making faces. Turns out a big old blood-sucker, and I don't mean a Nashville record label executive, landed on her shoulder and started going to town. "Well, I couldn't stop playing," Sam said. Well ... you could of. But you are young and a trooper and you just kept going, which is a good thing. She turned around and there was a nasty welt on her shoulder. Fortunately a well-prepared fan came up and doused the girls in bug spray, and the gig was finished without further blood-letting. So. The Dock. River. Mosquitoes. Bug spray. Every gig has a story, girls. Every gig.